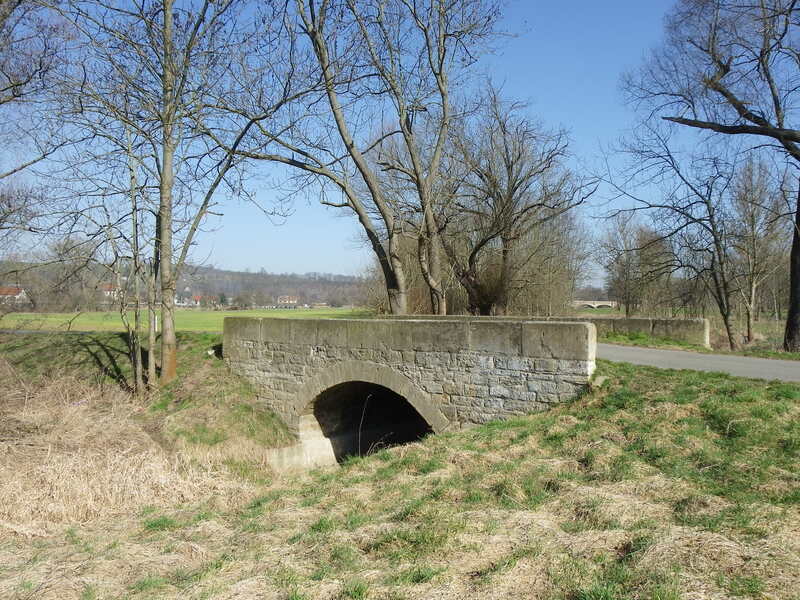 The best historic bridges are the ones that are unknown, undocumented and undiscovered, for they are the ones itching to be researched by those who are interested. A couple weeks ago, as I was looking for some information on another bridge, I happened to stumble on this rather unknown historic bridge by accident. 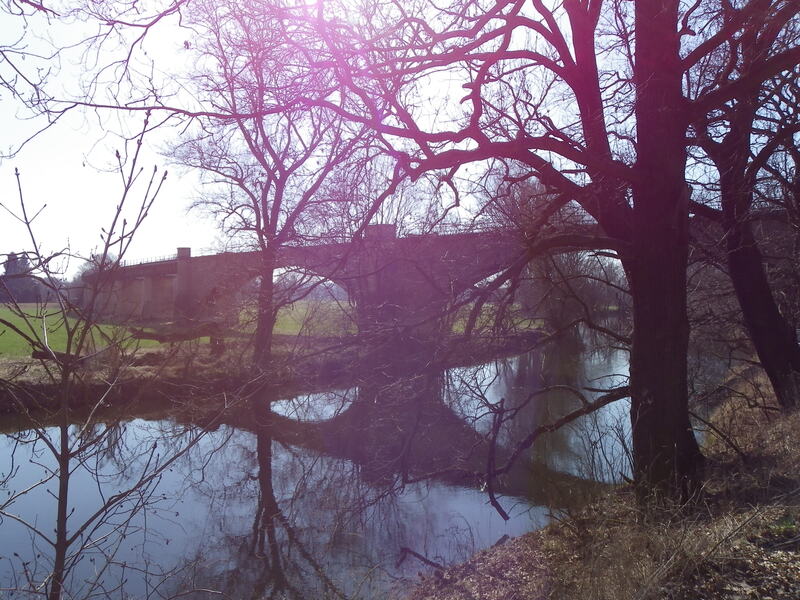 And while this bridge was filed by bridgehunter.com, this historic Iowa structure is very unknown. No historian, like the late James Hippen has touched it. No agency like IowaDOT and Henry County has mentioned it, yet. 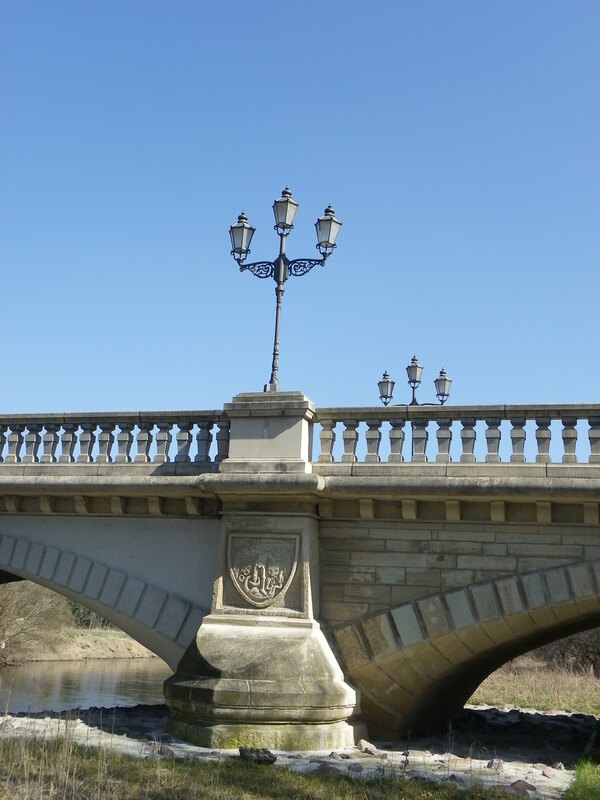 No information was ever recorded in any historic bridge or building survey. However when this gets out, many historians and bridge lovers will flock to it for pictures to be posted in the social media, the portal that is the most appropriate location to share information and discuss this. The bridge at hand is a through truss bridge spanning the old channel of the Skunk River. Its exact location is in the Westwood district, a mile west of Mount Pleasant. It is a quarter mile south of the old Hwy. 34, a quarter mile east of Franklin Avenue (County Highway W55) and a half mile northwest of the Henry County Quarry. It used to carry what is now Graham Avenue, which ends 500 feet east of the bridge. 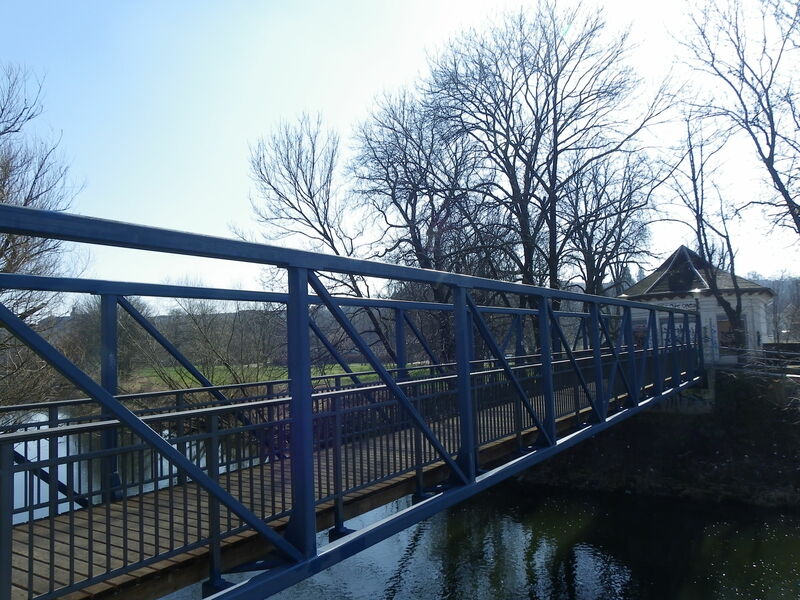 Judging by the bird’s eye perspective via Google Map, the bridge appears to have 5-8 panels and pinned connections. Looking at it more closely, it appears to be a Pratt truss. It has been abandoned for many years but may have been fenced off to keep people from approaching the structure (and crossing private property), which would explain why the bridge has been untouched for that long of time. And that is all we know of the bridge. 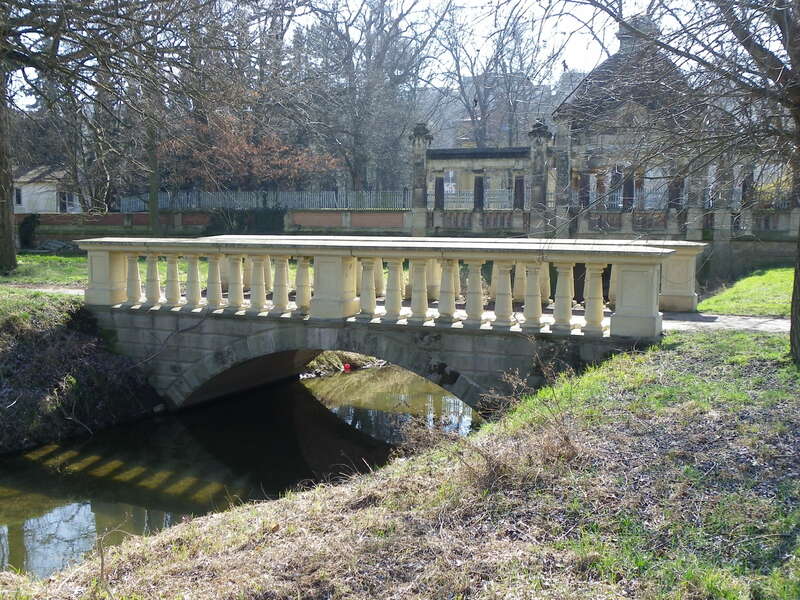 We have no further information about its appearance up-close, meaning its portal view, truss type, its connections, builder’s plaques and even its total dimensions. Furthermore, we have no information about its history, which is very important as we would like to know whether or not it is elgible for the National Register of Historic Places. We basically know absolutely nothing about the bridge, except for its location. We just know that the river was channeled a century ago to straighten it out and protect the area from flooding. But the rest is completely open for research. What do we know about the bridge? What does it look like? What about its history? Comment via mail, in the comment section both here or on the Chronicles’ facebook page. 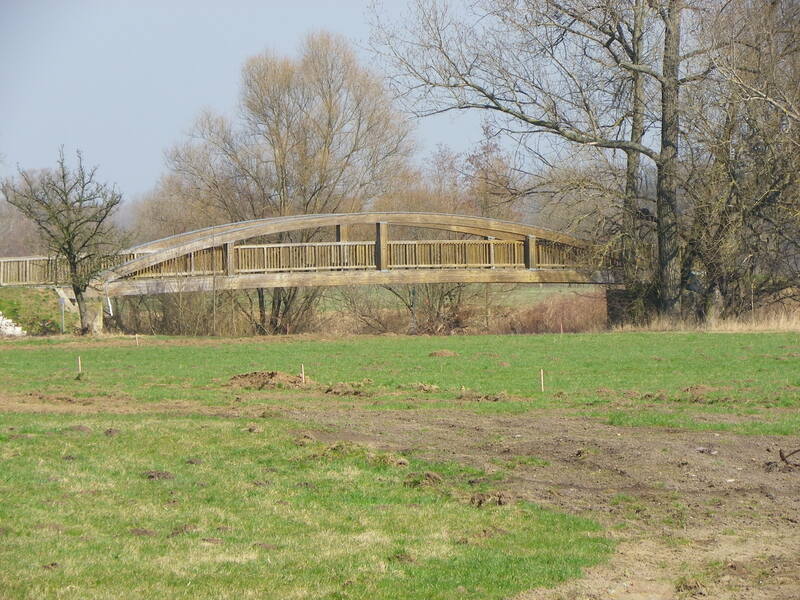 A photo folder will be made for photos of this bridge should you decide to visit the bridge. 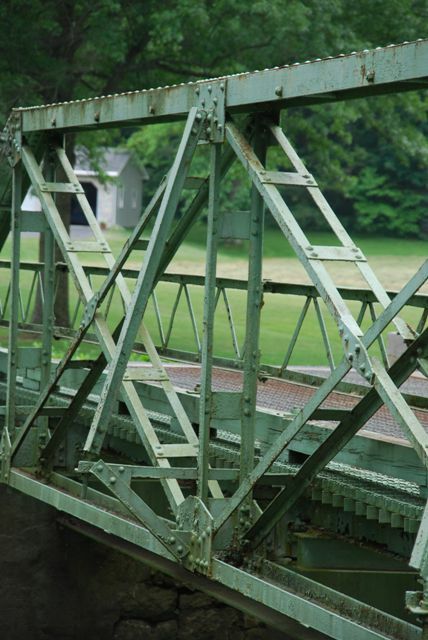 The main thing is whether the bridge is historically significant to join Oakland Mills Bridge on the National Register of Historic Places. Tag des offenen Denkmals to take place on 14 September. Every year in September, Germany hosts the “Tag des offenen Denkmals,” an all-day event taking place on a Sunday, where millions of visitors spend the day touring churches, museums, places of historic and natural interest and even city parks, whose history dates back hundreds of years. The visitors can also enjoy the historic bridges while they are at it. While the number of historic bridges at this open house is limited, tourists can take in a guided tour of the structures, learning about their history and in one case, how the bridges function as caterer of all forms of traffic that carries people and goods from point A to point B. 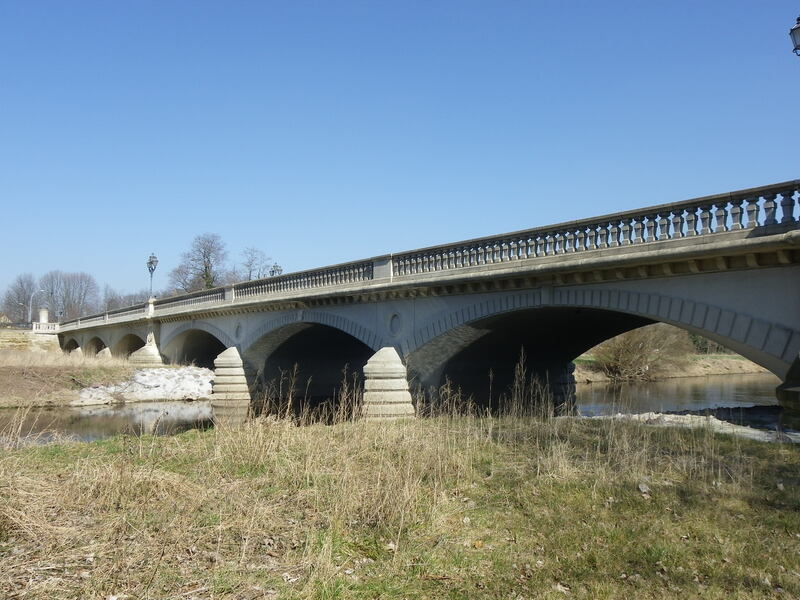 In the case of one historic bridge that has been abandoned for many years, the heritage days can serve as a platform for a campaign to restore and reuse it for other purposes. 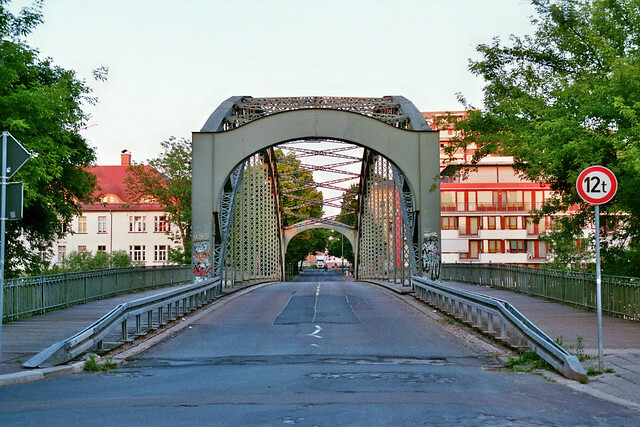 Liesenbrücke in Berlin: This two-span railroad bridge passes over the roundabout, where four streets and three cemetaries meet in the Berlin suburb of Gesundbrunnen. 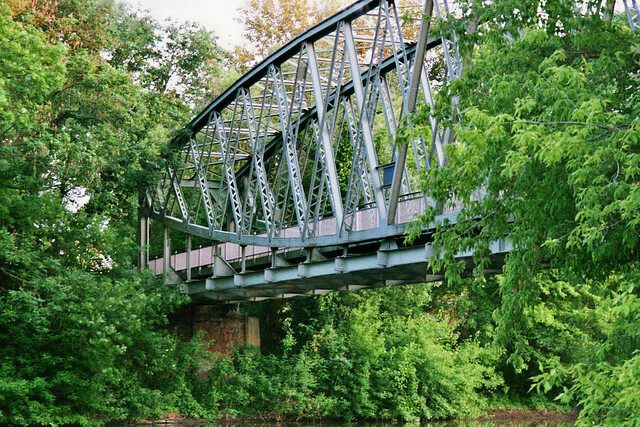 Built in the 19th century and surviving World War II and the Cold War, the truss design of this bridge is similar to the Railroad Bridge spanning the Danube at Linz, Austria- a curved Whipple with riveted connections. 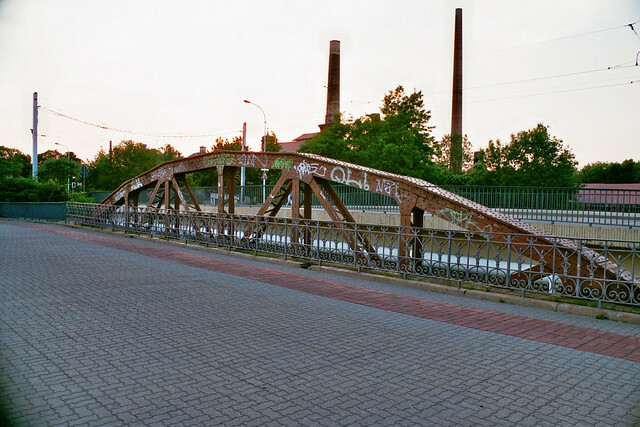 Once serving a rail line connecting Berlin and Stettin in Poland and later, light rail (German: S-Bahn), the bridge has been abandoned since 1990, but preservationists and those associated with the bridge are fighting to see the bridge reused for bike traffic. 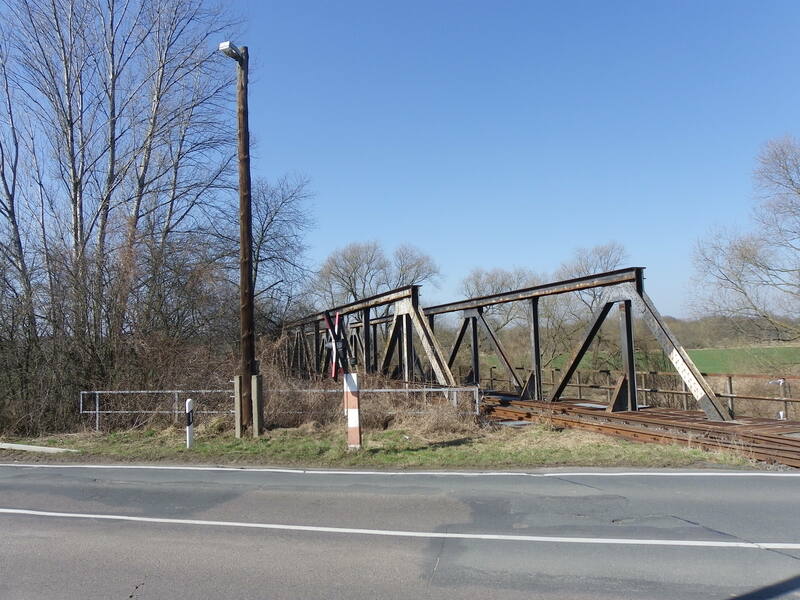 A presentation on the bridge will take place at 4:00pm on the Tag des offenen Denkmals with some information available on how to support the efforts in saving the structure. More information online by clicking here. Drususbrücke at Bingen (Rhein): Touted as the oldest stone arch bridge remaining along the Rhine corridor between Frankfurt and Cologne, this 11th century stone arch bridge is located over the Nahe just before its confluence with the Rhine River. 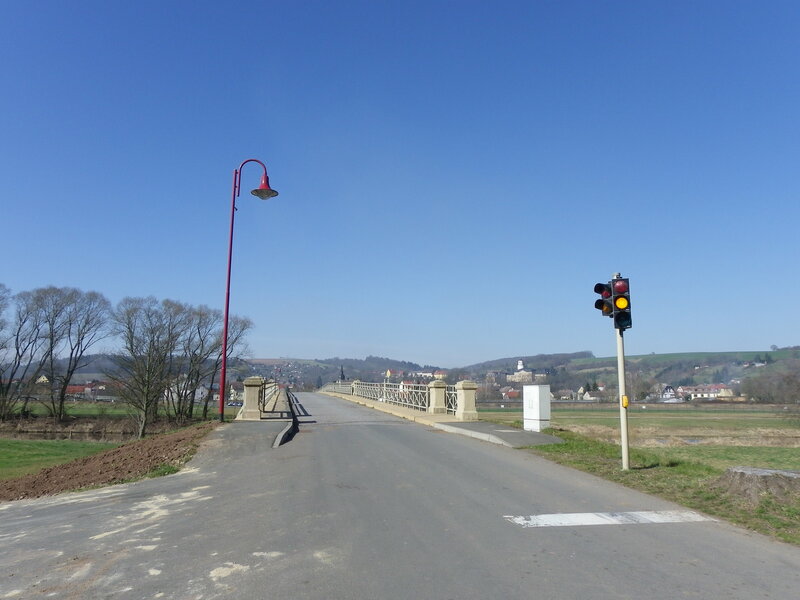 It was named after Drusus, the Roman who led his troops to the region at the time of Roman expansion and may have been the person engineering the first crossing near Bingen. 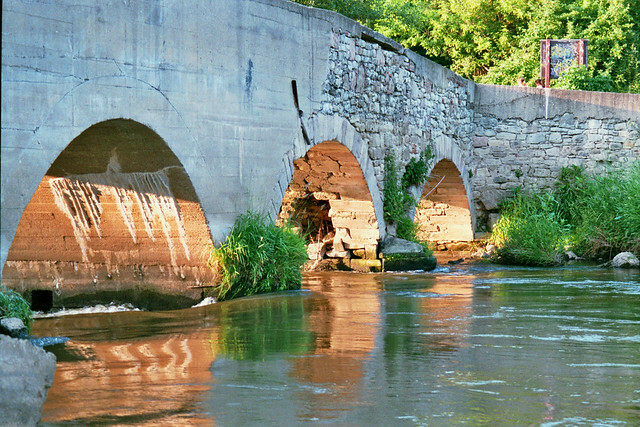 The stone arch bridge has survived several wars, having been restored three times- the last time in 1952. 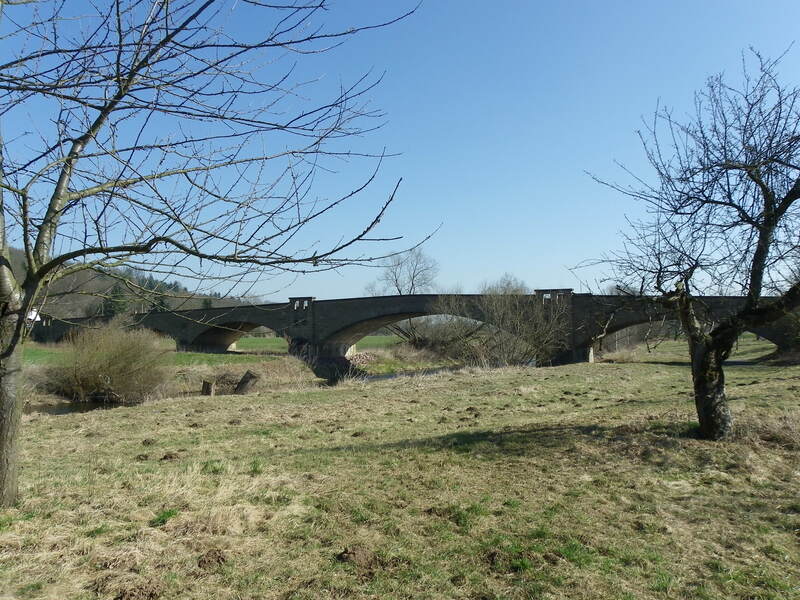 One can see the bridge during the Tag des offenen Denkmals between 10am and 4pm, obtaining information about the bridge’s history on site. Yet do not forget to stay in the evening for some night photos. More information here. 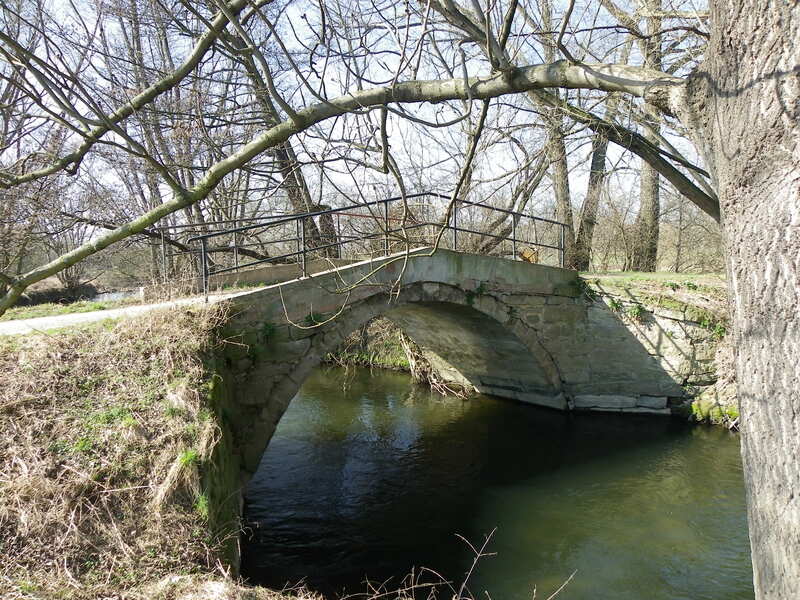 Tauberrettersheim: Located northwest of Rothenburg ob der Tauber along the Tauber River in Bavaria, the stone arch bridge was the work of Balthasar Naumann, built in 1733 and featuring five arches. 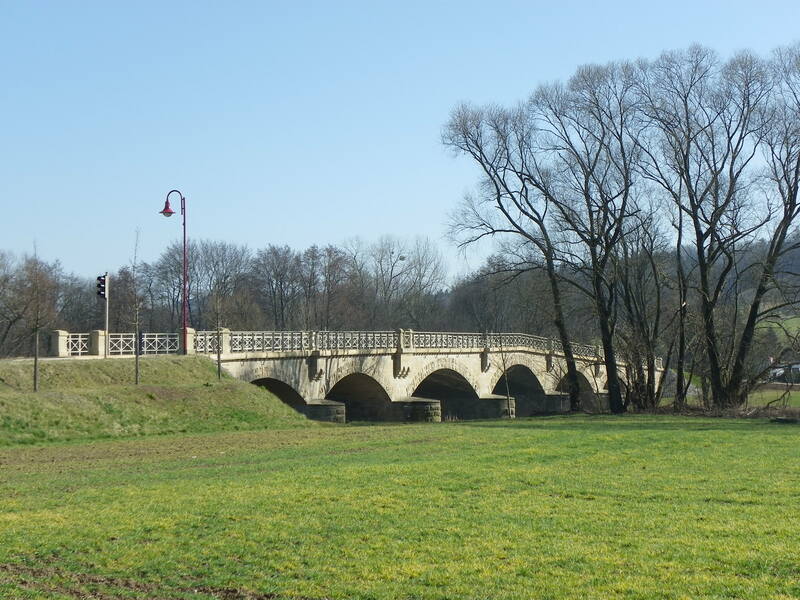 The bridge was rebuilt in 1947 and still serves its function like it did in the past- the gateway to the town famous for its Barocke architecture and arts and crafts. The bridge is part of the festival where several stands featuring locally handmade goods on this day. More information can be found here. 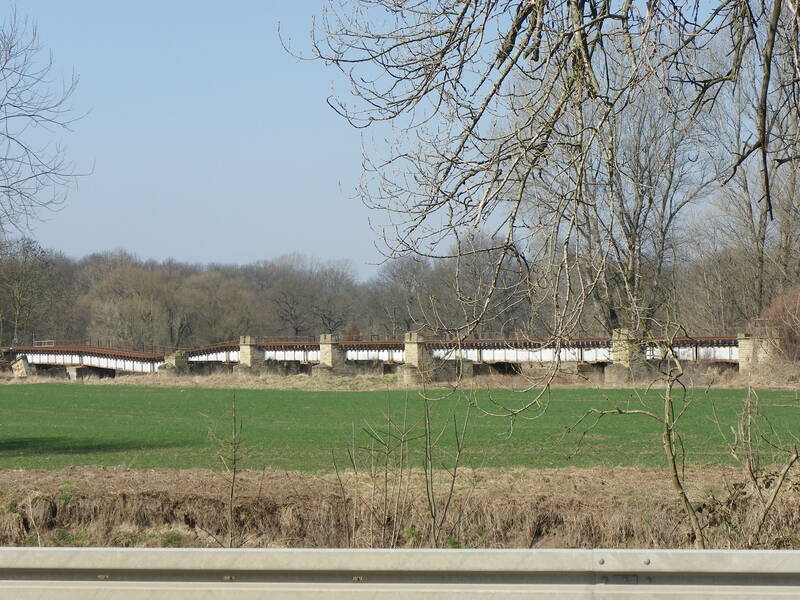 Autobahnmeisterei and Bridge at Erkner: Located along the Berliner Ring (Motorway Rte. 10) in Erkner, southeast of Berlin, the Meisterei features a mechanic shop for automobiles, an administration office responsible for the upkeep of the motorway and a silo with a gallery of photos, artefacts and other information pertaining to the Autobahn system in Berlin and Germany. Also featured is the remains of the deck girder bridge that had once carried Motorway Rte. 10 and was built in 1942, the same time as the Meisterei. Upon its replacement in 1996, a section was placed on the lawn of the Meisterei as a monument, and together with the building complex itself, has been restored for the public to see. More information on the open house and its history can be found here. 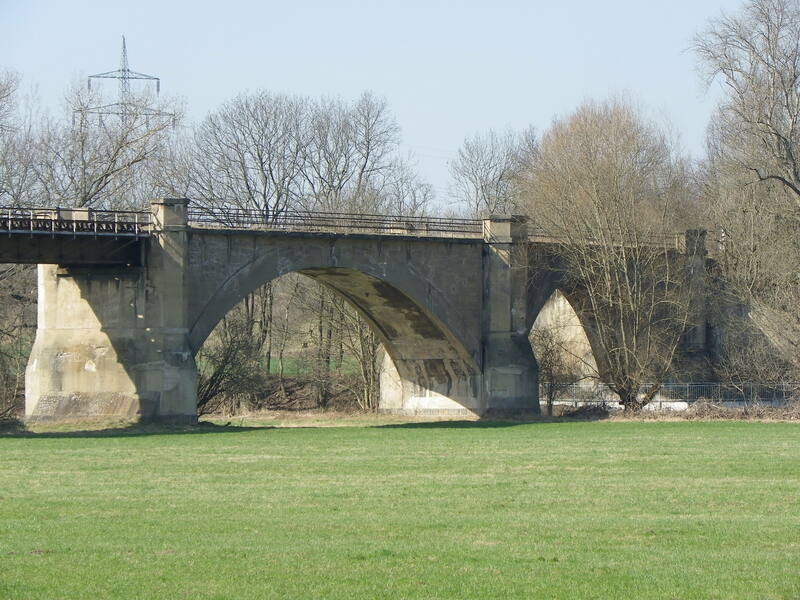 Carl-Alexander-Bridge in Dornburg: Spanning the Saale River near Dornburg, 10 kilometers north of Jena in eastern Thuringia, the three-span riveted Parker through truss bridge was built in 1892 to replace a 14th century covered bridge destroyed in the flooding. Since 2000, the bridge has been reduced to just bike and pedestrian traffic, but is structurally in dire straits. Since 2006, the preservation organization has been raising funds to refit the bridge to make it safer and more family friendly. The festivities on the Tag des offenen Denkmals will rake in more visitors and funding possibilities in hopes that enough money is raised in order to start with the rehabilitation work next year. More on the events on this day, which features breakfast and jazz music, a presentation and tour of the bridge and a tour of the Dornburg castle can be found here. 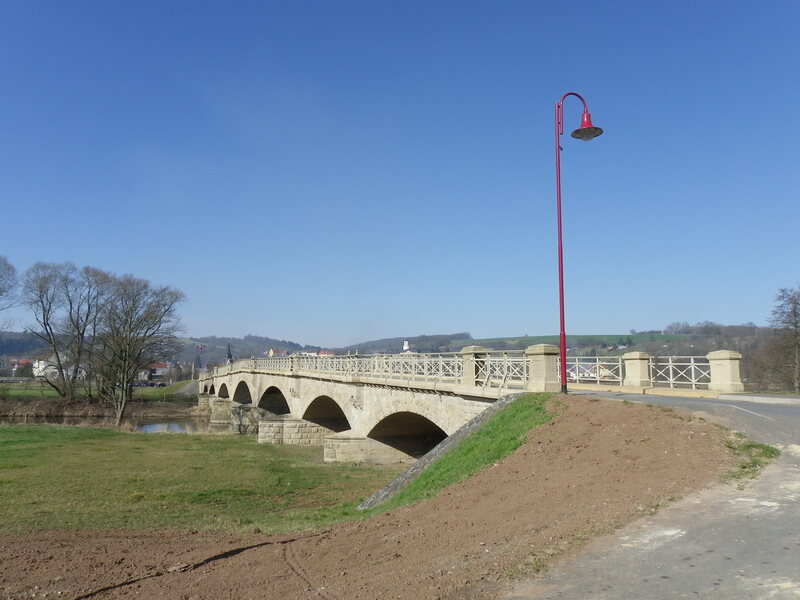 As Jena will be featured in the Chronicles’ bridge tour, more on this bridge will come soon. Rendsburg High Bridge: Spanning the Baltic-North Sea Canal, the 1913 bridge complex features a north loop approach span and the main span- a cantilever Warren through truss rail span carrying rail service between Flensburg and Hamburg and underneath, a transporter span carrying vehicles and people across the canal. 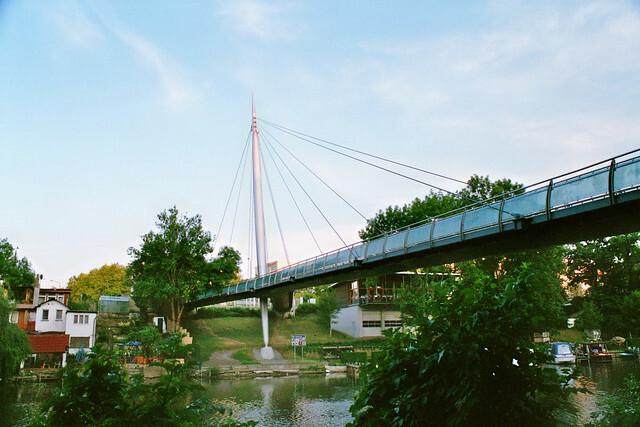 The masterpiece of Friedrich Voss has been considered a national landmark since 1988 and a guided tour will be provided to talk more about the bridge. 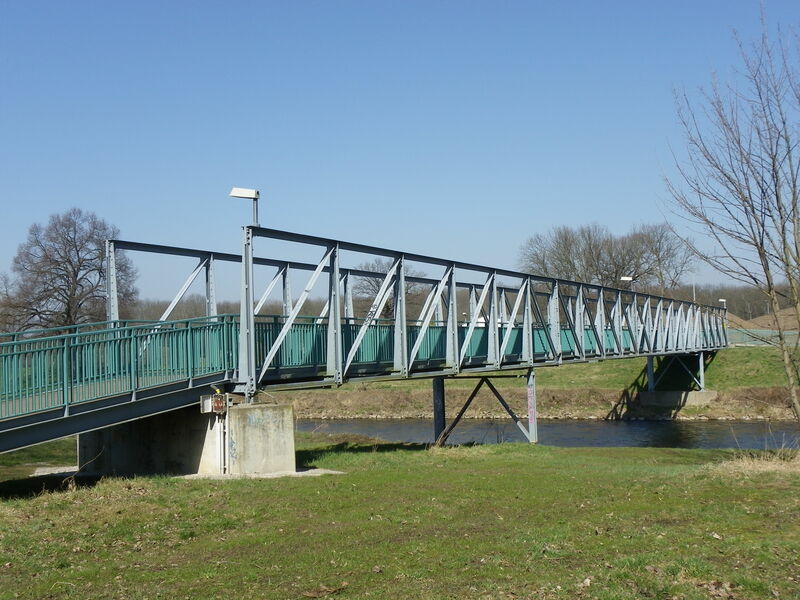 Two tours will take place in the afternoon at the bridge terasse on the Rendsburg side of the crossing. More information available here. 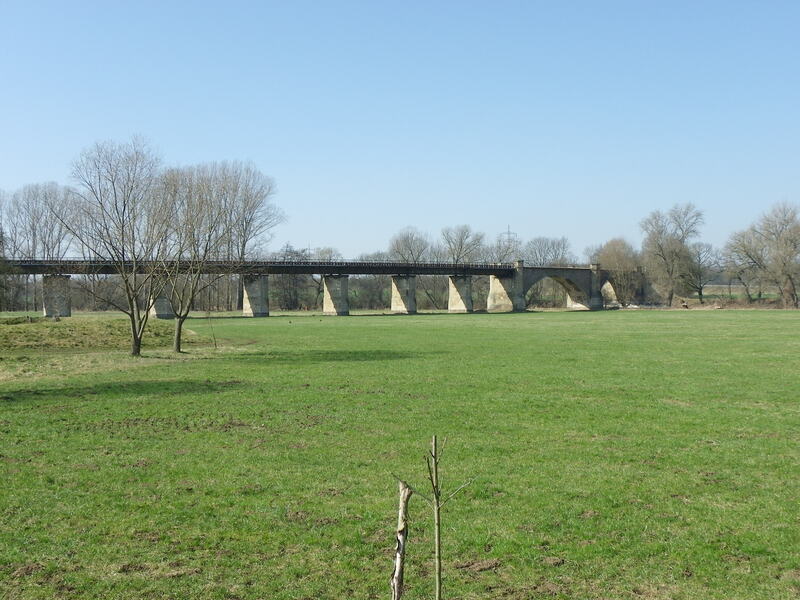 Oschütztal Viaduct in Weida: Built in 1884, the Town lattice deck truss viaduct has a length of 185 meters and is 28 meters high above the ground. 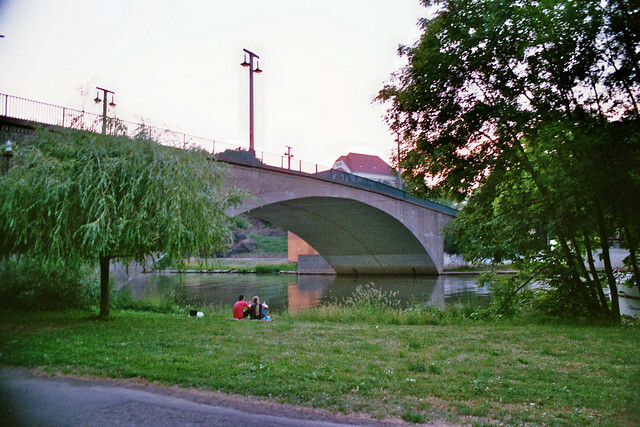 The landmark of Weida, which can be seen from the east entrance of the city as well as from the train station 1 km to the west, was the work of Claus Köpcke and Hans Manfred Krüger, who later built the Blue Wonder Bridge in Dresden. 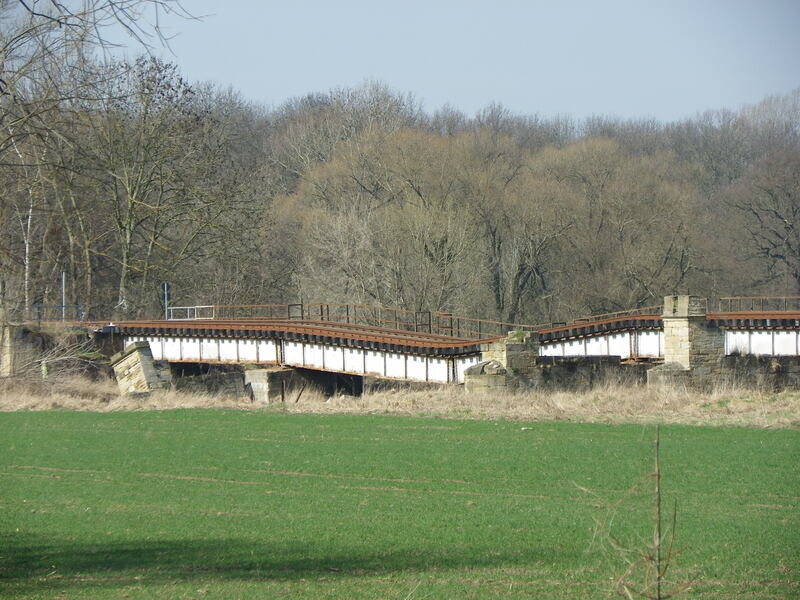 The bridge served rail traffic in eastern and southern Thuringia, connecting Weida with Gera in the north, Saalfeld in the southwest and Plauen to the southeast. It was closed to traffic in 1984 and has been sitting unused ever since. The organization is looking at renovating the bridge for reuse either as a tourist railroad attraction or for bike and pedestrian use. In connection with its 130th birthday, a guided tour and other festivities are being planned for that day. More details here. The Chronicles will feature more information on the plans for this bridge when they come. If you want more information on other places you can see while travelling through Germany this weekend, please check out the link, where all the places of interest are having their open houses. There, you will find all the information you need on the events taking place and when. The link is right here. This year’s event has more bridges than in year’s past, and this in its 18th year. This leads to the question of other bridges that should have open houses on this day so that tourists can visit them. 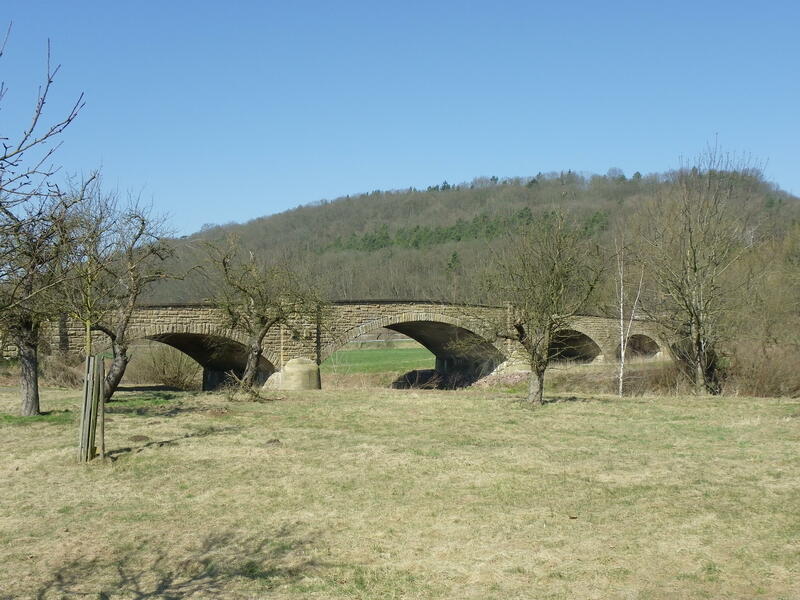 If you know of one or more particular bridges that should be considered for future Tag des offenen Denkmals, place your comments here as well as in the Chronicles’ facebook page and your reasons why.